You may feel that your medical history is private and that your employer has no business asking about it, and you would be right. However, when you're filing a claim for workers’ compensation for an injury or illness caused by your job, the Ohio Bureau of Workers’ Compensation (BWC) has a right to request your medical records and, if you want your claim to be approved, you must comply. You still should have privacy, but might need a lawyer’s help to protect it. Your injury or illness was caused by something that happened at work. Your recent medical records show the BWC that you've seen a doctor; had medical testing, such as x-rays or MRIs; and were diagnosed with a particular injury or illness. The BWC also looks at your records to see if you have a pre-existing condition that could explain your health issue, or if you had previous treatment for your current symptoms/condition, which it may take as an indication this wasn't a workplace injury. Should You Release Your Records? To file a successful claim, you have no choice but to sign the BWC’s Authorization to Release Medical Information. Generally, if you have nothing to hide, there's no reason not to sign the authorization. However, if you have a complicated medical history, consult a workers’ compensation attorney before signing a release. While the BWC is only permitted to access information that is “related causally or historically to physical or mental injuries relevant to [your] workers' compensation,” this can encompass a lot of information over an extended period. For example, if you have a history of back problems and they're documented in your medical records, the BWC could use this information to deny a claim for a back injury suffered at work. At the least, you will have some 'splainin' to do, Lucy. No one should be digging through your medical history to find reasons to deny a legitimate claim for workers’ compensation, but once you sign a release, you may not stop them. 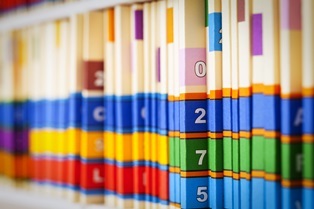 If you're worried about what’s in your medical history, contact me before you sign a release. We can talk about your options and whether you have a claim for compensation, given your medical history. Meanwhile, download a free copy of our book, The Worker’s Guide to Injury Compensation in Ohio, to learn more about the application process.